Barbecue has a very special way of bringing people closer together. Every time you share a meal and a memory with your friends or family, your relationship becomes just a little bit deeper. 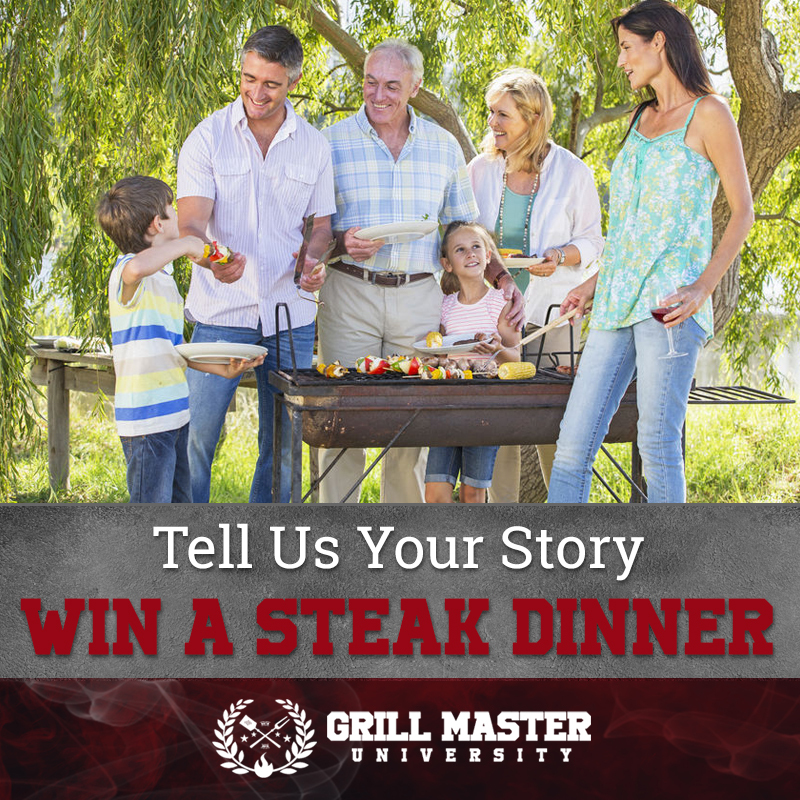 Grill Master University gives you an opportunity to Win A Free Steak Dinner on us! 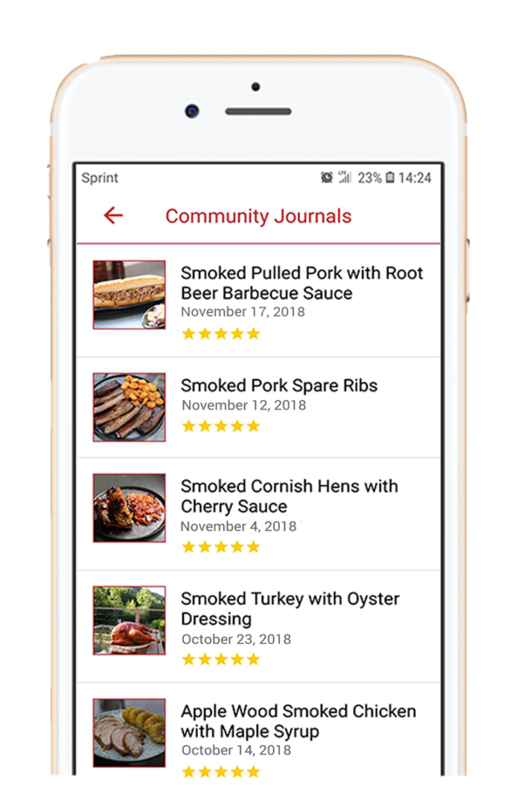 All you need to do is share your story about how barbecue made an impact on the relationships in your life! You may not think that your story is inspiring or worth sharing…but we do and we want to hear it! We’ll be sharing them on the blog over the course of the next few posts, so make sure to check back in and get some more BBQ inspiration! I love BBQ and I love doing it for friends and family. I lost all three of my smokers and my home in the Camp Fire in Paradise, CA. We were relocated to a hotel in Roseville where we stayed for about a month. The first thing we replaced was a smoker, even though we didn't yet have a house. Once we found a house we had a BBQ to thank those who helped us after the fire. I showed a new friend how I trim and prep brisket and pork shoulder. After seeing the effort and tasting the result he told his wife he wanted a smoker and asked if I would teach him what I know. His wife told him they should just let ME do the BBQ and enjoy the result of MY effort! They've even offered to buy the meat! 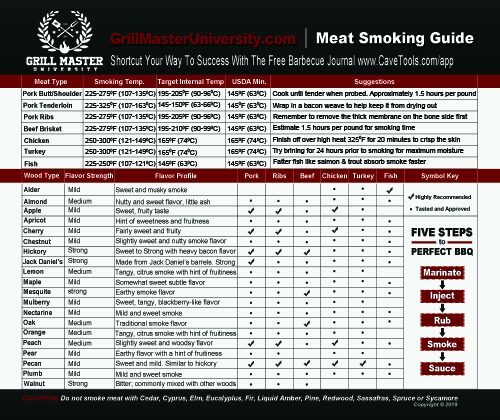 He's still shopping for the right smoker and they are still coming over for BBQ! Have a friend we call big Mike smokes everything, Does catering competition. I asked him about 4 years ago if he would teach me to smoke. Since then I have been to competition barbecue cook Off's. I smoke a lot for my family now. In this year I'll be on big Mike's barbecue competition Team . And helping him out, With one wedding , a weekend Chuck wagon. I'm feeding 500 people for the cowboy church. Really made my relationship with big Mike a lot closer and I met a lot of really neat Christian men and women. I started barbecuing when I first got married over 42 years ago. Now I have a huge 4 burner grill, a 36" Blackstone Griddle and 2 Masterbuilt smokers. I love grilling, griddling and smoking food. It is one of the best ways to spend quality time with friends and family. When our kids come home to visit I love cooking breakfast on the Blackstone. My granddaughter from Montana loves ribs so I make sure to smoke ribs for her when she visits. It just draws you close to your friends to sit in the deck and cook while sharing a cool beverage and telling tall tales. I love it and don't know how anyone doesn't. It's taught me how to be a better chef too. I gave my 2 children gas grills 7 years ago for Christmas after they gave me one for Fathers day. Each year on the first Sunday of October we have the Brunton Family Grill Off. They come over on Sunday morning and for the next 4 hours we slice and dice together. Starting at 1:00PM, appetizers go on the grill. At 3:00PM, the main course is started, and at 6:00PM, the desert. Something from each course has to be grilled. At the end of the night, all guests vote on presentation and taste. It is my favorite day of the year to do this with my children. The traveling trophy is pictured. The only bad part is in 7 years, dad has only won once. And we don't tell each other what we are cooking until the day of the Cookoff. I recommend this to anyone with adult children. Me and my family like to call it "breaking of the bread" some of the most important decisions are discussed at our dinner table. Everyone has a voice at our table so we shut off the media and talk. Our family is old school like that and everyone from me, wife, daughter and sons have an opportunity to speak life into each other. Food is something that has always brought my family together and we actually sit down almost every evening for dinner to "break bread" and share our highlights and challenges for that day. I have had a passion for food always but BBQ is something that is out of my comfort zone and have been working at it for quite some time now. It truly is an art that can only be learned by doing and making mistakes. I will continue to pursue and expand my skill set and bring my family culture into the the bbq world and put our family tastes with a different signature. Funny thing is every time I fire up the smoker the neighborhood happens to enjoy the smells coming from meat on the smoker and always ask "what are you cooking today" my reply is something made with heart. That is what I enjoy doing cooking for others and keeping it simple. Bring people in and they will also share their lives through food. It is something we all have to do is eat and why not change the world by having that attitude of "I get to do this" instead of "I have to do this". Everyone needs to be loved and cared for what better way that "breaking bread" together from house to house. Thank you for taking the time to hear just a piece of our family dinners. We hope these stories will inspire you to send us your memories, traditions, and experience! Check out the Contest page for more information, get your writing mojo, crack your knuckles and get to writing us The Email that can win you a Free Steak Dinner! 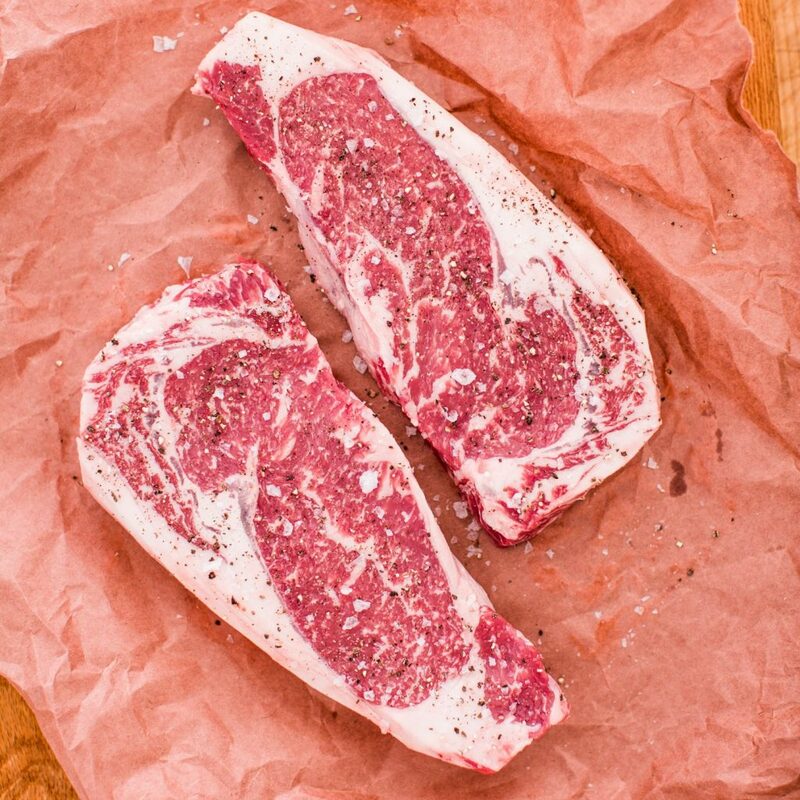 Win a Free Steak Dinner on Us! I Want To Win A Free Steak Dinner!